I was informed by Scott Antonetti of the Stone Fly Society Chapter of Trout Unlimited of an opportunity to volunteer assist with DWR and Mike Slater – Central Region Sportfish Project Leader in a project to retrieve Native Bonneville Cutthroat Trout ready to spawn from Mountain Dell and Little Dell Reservoirs. 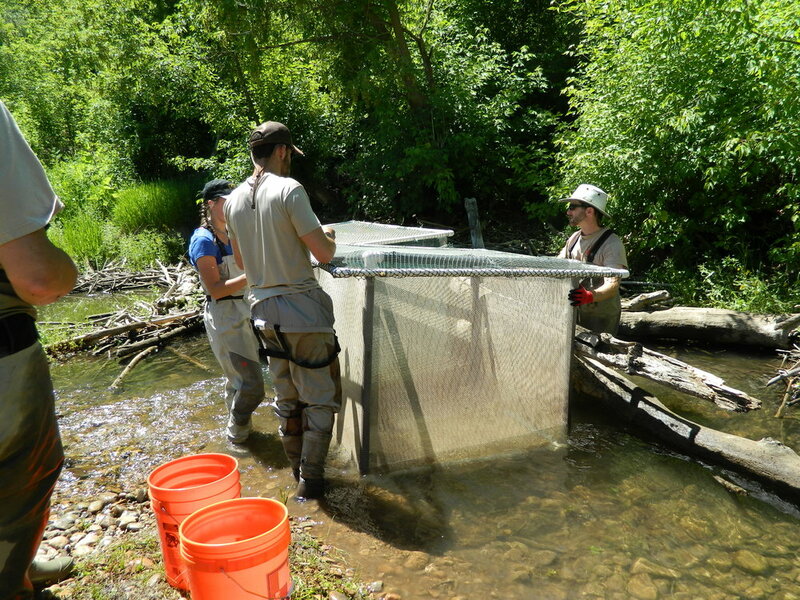 The project was to net, count and sort Males from Females placing them in on stream collection pens; eventually collecting eggs and sperm for hatchery use releasing the parent fish back into the home stream environment. I believe this process continues until the spawn migration slows significantly. Mike Slater and his team instructed our group of volunteers thoroughly prior to the operation in safety and duties including assembly of the pens, net and bucket use as well as fish identification. As a recent transplant from New Hampshire this was a great opportunity to get up close and personal with Utah native fish in their environment other than fishing. 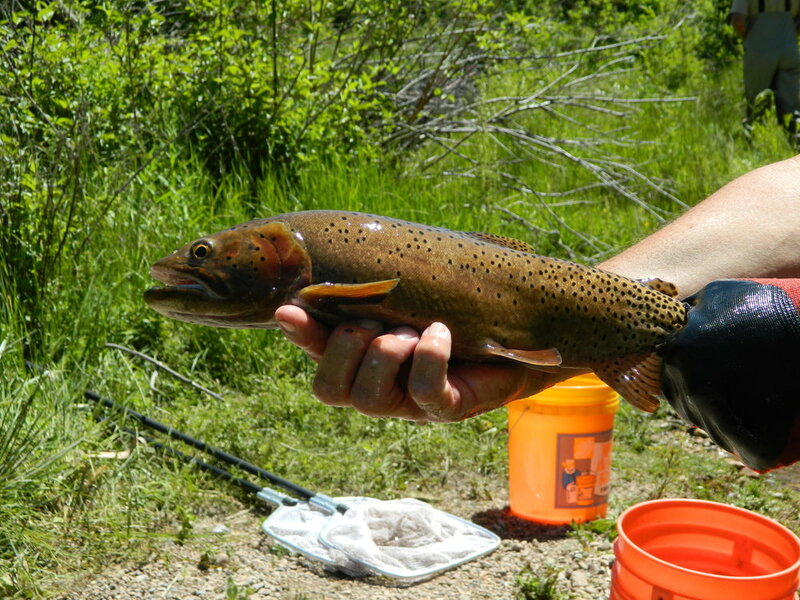 I have previously caught and released mostly Bear River Cutthroat Trout from Strawberry and Scofield Reservoirs and a few “Cutties” of undetermined species in Utah &amp; Idaho streams. This was a great experience. The electro fishing techniques used by DWR personnel enable volunteers using nets to scoop up fish easily without harm and collecting them in buckets for sorting (Male / Female), counting, then placing in collection pens. The electro fishing was used with as little intensity as possible to retrieve the fish. The Cutthroat looked in great shape with a lot of energy. The number and overall size of the fish was impressive. The preservation of native species is important and necessary. The ever-expanding population and changing climate increase the need for protection and assistance by the DWR and volunteers. Each effort not only helps in the nurturing of the animal but in our knowledge and the discovery of patterns in behavior and the condition of our environment. The inclusion of volunteers should help in lowering costs and achieving the goals in a given project, especially a time sensitive project in the necessary period presented by the fish. Again, this was fun and an excellent opportunity. I will do this again. One more note: As a fisherman passing a log jam without taking time to fish it thoroughly is a mistake. We retrieved 35 fish from a log jam in a stream 10 – 15 feet wide. Admittedly these fish were concentrated do to spawning; however, this was a small place and it was a clear demonstration of the use of cover. 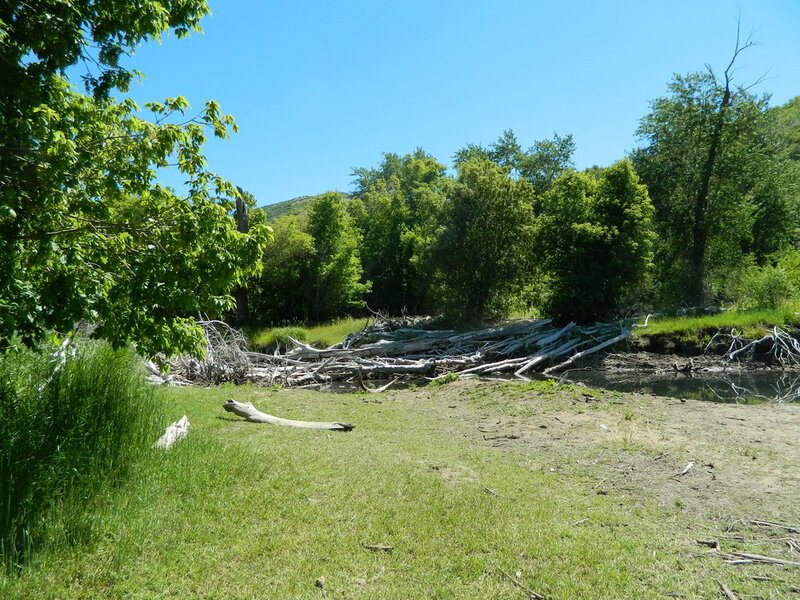 Newer PostWeber River Clean Up Sat. Sept. 15th. 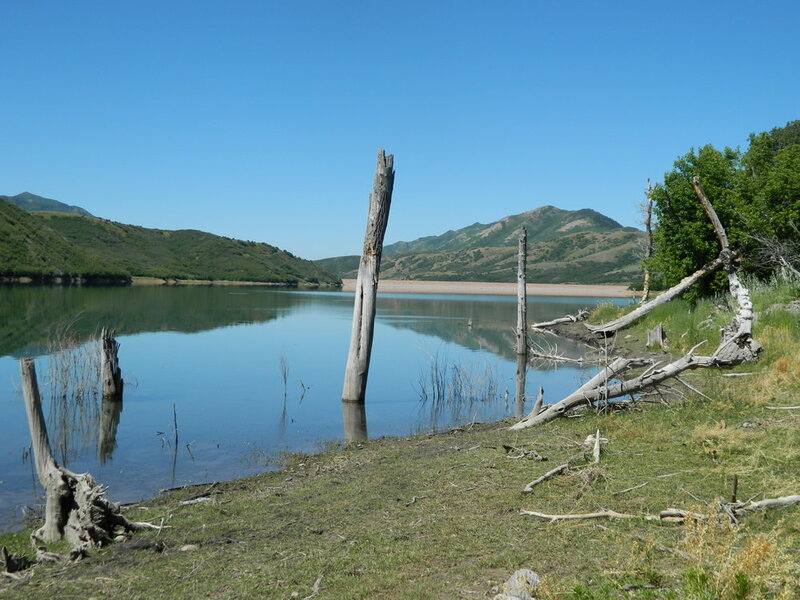 Older Post2018 Annual Provo River Clean Up Thanks!